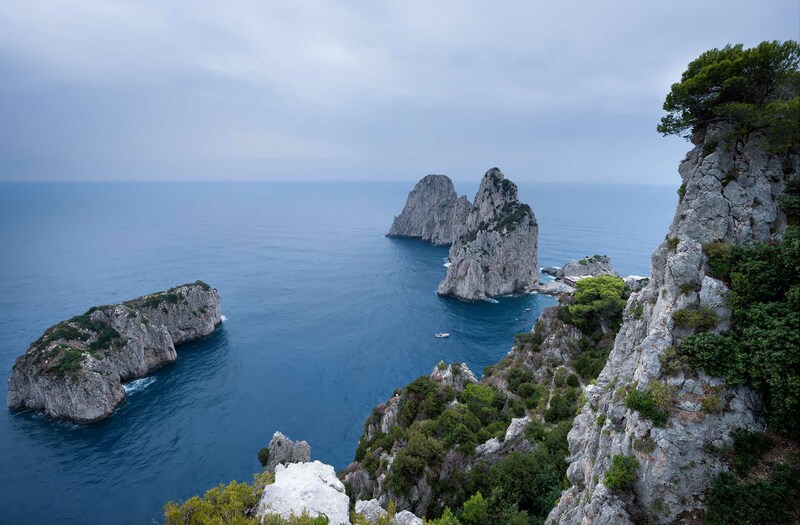 As I said in my previous post Queen of Rocks Capri is a small, beautiful and very exclusive island of the coast of Campania, I have been in neighboring areas several times but I’d never been before on this island. The story has it that every time I’m around and I want to make a daily trip to Capri the day that I decided to leave it rain so much! This summer I was able to make me a very hardly day on the island and of course it was raining 😀 … Oh well, what you see in the picture is the overcast sky that alternated with intervals of the day, but the subject is certainly the most important thing the Faraglioni of Capri are famouses all over the world thanks to the magnificent historical overview offered by the gardens of Augustus.